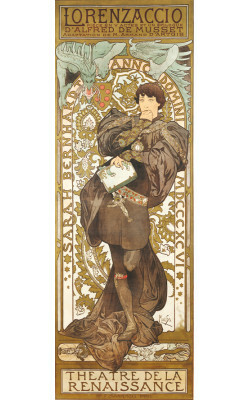 Playwright Catulle Mendes adopted Euripides’ classical text especially for Sarah Bernhardt, depicting the Greek hero Jason, hitherto perceived as an untouchable mythological ideal, as a ruthless deceiver who had betrayed all who loved him in pursuit of his selfish passions, thereby giving Medée the psychological justification for her terrible crime. 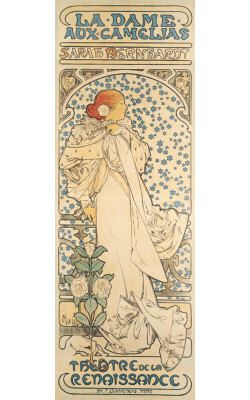 The poster renders the substance of the tragedy through a lonely figure. The mosaic background and letter “D” of the Greek alphabet situates the play in ancient Greece. 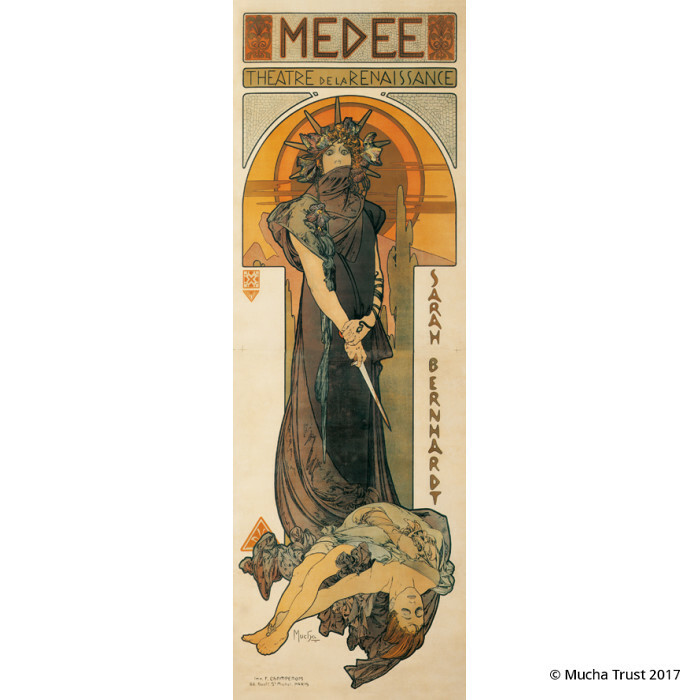 Medée’s gaze, full of horror, is fixed on the shining dagger in her hand, stained with the blood of her children who are lying by her feet. 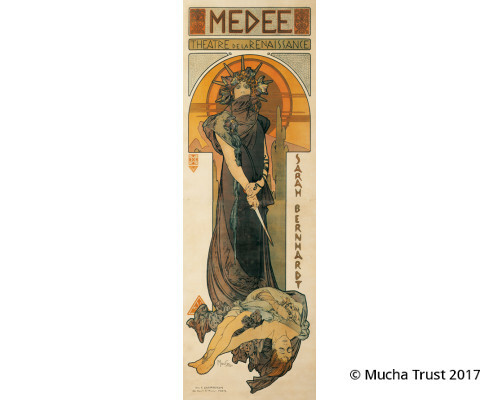 The unusually detailed hands and the serpentine bracelet adorning Medéa’s forearm are quite remarkable. 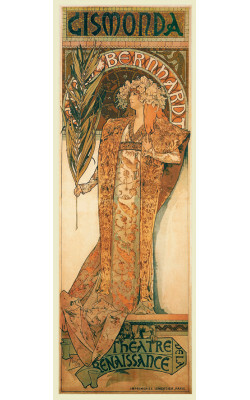 This bracelet was designed by Mucha during his work on the poster and Sarah liked it so much that she commissioned jeweller George Fouquet to create a snake bracelet and a ring embellished with gemstones for her to wear on stage. 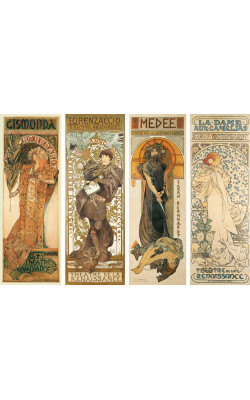 Products in the same series - "Parisian posters"
Posters made in Paris in the 1890s form the bestknown and world famous segment of Mucha’s work. It w..